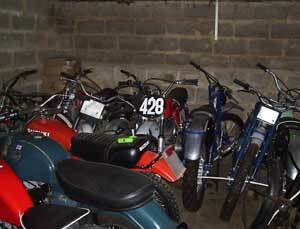 Here at Greeves Motorcycles Ltd we have a collection of second hand bikes available for you to purchase. Some of the bikes run and some do not. Some require restoration and some do not. 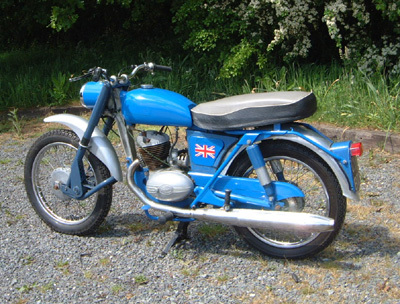 We have reluctantly decided to part with some of our machines, due to our time being taken up carrying out restorations, repairs and building engines for our customers machines, which does not leave us very much time to work on our own bikes. Our workshop has been inundated with work for the past couple of years and we are constantly being asked to to take on further projects, including manufacturing items that have become obsolete for Greeves machines, plus produce new quieter silencers and other items that the Greeves club members produced prior to retirement. We now have some short competition silencers that will fit either left or right hand. These are suitable for both two strokes and four stroke machines. 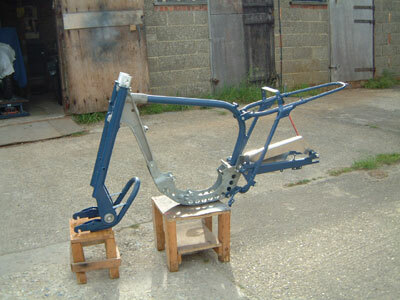 We will also be selling frames for Trials and Moto cross which we purchased to build our own bikes. These include MDS frame, Challenger, MX3, Sprite and wasp etc. 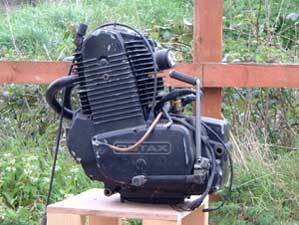 We also have a number of engines, Challenger, 2T and 8E. These will be available for you to purchase very soon. We have recently increased our stock of parts including having 380cc Griffon pistons manufactured alongside our 250cc pistons. We are also in the progress of having 1" and 7/8" handlebars manufactured, together fibreglass parts and aluminium tanks to increase our stock of items that will in turn meet the demand of the mail order side of the greeves Motorcycle business. If you are interested in any of the bikes that are for sale and would like to visit us to view them, we would be grateful if you would contact us to arrange a mutually convenient time first. 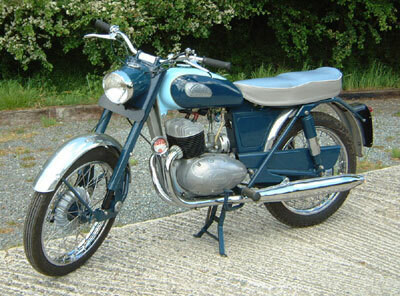 Greeves Road Twin: This bike starts first kick...is a beautiful bike and is very well presented. It has 12 months MOT and it's V5 documents. A perfect road bike for touring or for odd days out. Do not delay - contact us today to snap this one up! 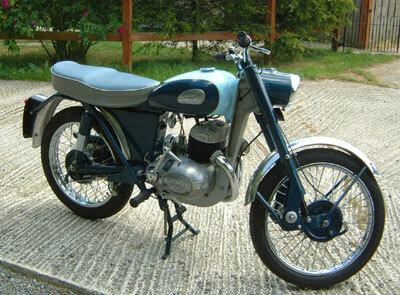 This is a very nice little bike for a restoration project. All of the parts are there for the project, it just requires tank badges. 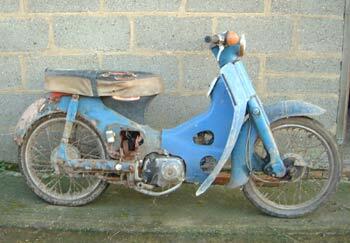 This bike can be restored by you or if you would prefer us to do it for you contact us today for further information! 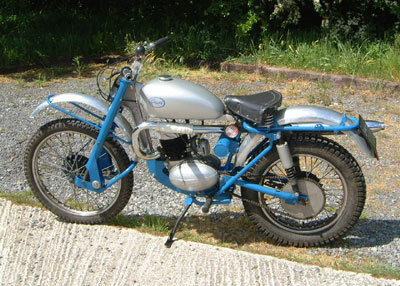 This 250cc Greeves Anglian Trials bike, built by us is virtually a copy of the Greeves Wessex that had an iron barrel. 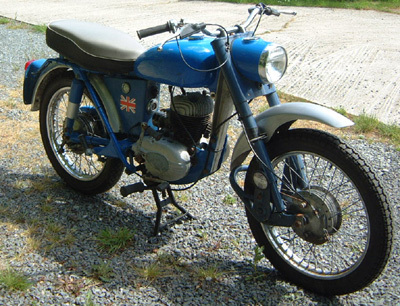 This Anglian is BRAND NEW and has never been trialed. The bike is fitted with a short competition exhaust, electronic ignition system, Red fibreglass tank...and is ready to ride. 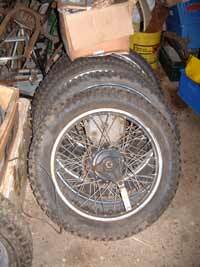 The hubs are half tin hub in the front and a full width British Hub in the rear. 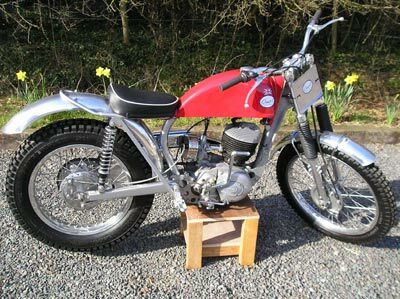 This particular Anglian was built for The Telford Show in January 2009 - where we launched our new modern trials bike...which is imminent; we have also decided to release some more of our Classic bikes for sale now. This only requires an engine and a chain and for the tank to be sorted out otherwise it will make a very nice little project for somebody with some spare time on their hands. This Greeves Scottish bike is a very nice one that will make a very nice restoration project for somebody or, it can be ridden as it is. Ready to build your own trials bike. 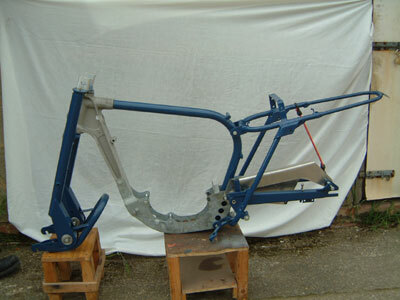 The frame and other parts have been shot blast and powder coated Moorland Blue so now ready to build up with whatever engine you choose. New fork bushes and swinging arm bushes. This is a very good frame kit to start the build and is eligible for the Pre '65 trials events. We are able to supply all of the parts that you would require to complete the build. These Anglian Frames are powder coated, ready to build. This engine was purchased to build a special project that never happened. 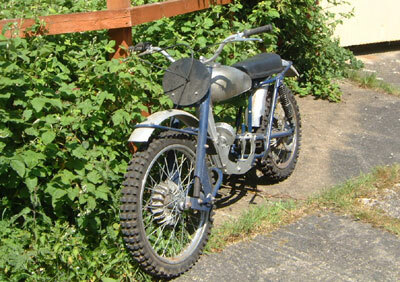 It comes with headlight, tail light, brand new Bing carb and other parts, hence the price. Ready to build. 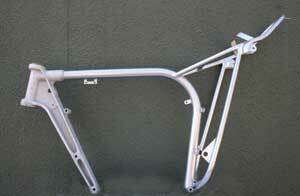 These frames are used for Triumph Engines to build a Tri greeves. These Anglian swinging arms are powder coated. 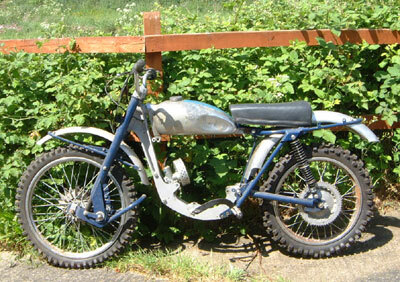 Price - �530 the lot - An assortment of 'Honda 50' frames and parts, plus one complete bike! We have a lot of secondhand trials, MX and road tyres that would be fine for showing or just riding a bike not too seriously. Prices start at �10 each upwards, first come first served. We also have quite a few rims that would clean up and rechrome for bikes that are not used often or in serious trials and MX. Prices of these start at �10 each, again while stocks last. In addition to all the bikes, parts and engine lists, we have numerous quantities of spares for Scottish, full width Alloy and conical hubs, tool boxes, spindles for conical, full width and Scottish stainless nuts. MX bars Pre 65 and 74. Air Filter for Amal Carbs. MX Tyres, Trials Tyres, Dunlop, Michelin. IRC Tyres at incredible prices. �30 for a front and �45 for rear. 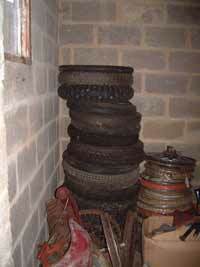 Brake shoes etc etc, in all over �30,000 of stock for Greeves Trials, MX Machines. And don't forget we also own Metal Profile Forks Ltd. So your Greeves can be converted from leading link to Telescopic Forks. 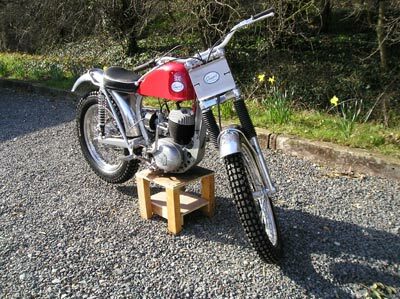 Also BSA C15 Trials and MX. 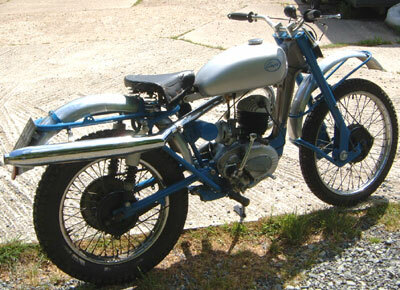 Tiger Cub Trials conversion carried out. We have converted over a DBW. DOT, Francis Barnett, James (These we specialise in). Special Spring, Dampers, Piston tubes and aluminium yokes. �525 a set Plus VAT. You can't buy a New set cheaper anywhere. All of the prices that we have quoted, we feel are realistic for these very sought-after machines. We would therefore like to point out that the prices are firm prices and are not negotiable. The price you see is the price that the bike will sell for. With regards to money laundering awareness, we are only able to accept Cash, Bank Draft, or a Building Society cheque in payment for the bikes that you wish to purchase. We are unable to accept payment in the form of a Credit Card.